Hey, phorrito? Meet your crabby, fishy cousin at the Teppanyaki Hut. 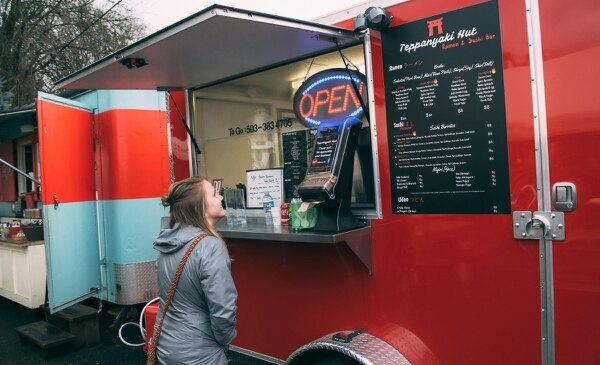 Well, the trend has barely grazed Portland—landing in sushi stands like Hissho and Wasabi that are geared toward the low-cost convenience of the burrito as a perfect protein delivery vehicle. 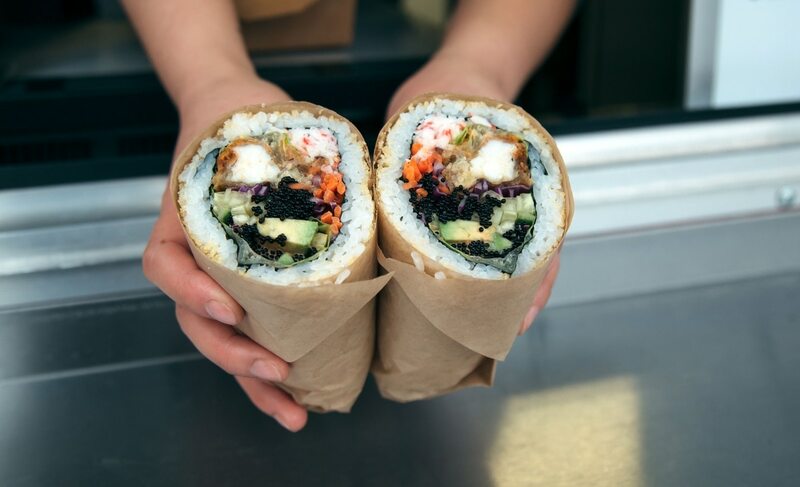 But judging from at least one offering at Teppanyaki Hut, a new food cart in the North Mississippi Avenue pod next to beer bar Prost, the sushi burrito has the potential for fast-food brilliance, with none of the gut-bomb feeling caused by classic burritos. The $9 Black Widow comes rice-out—like the inside-out California roll—but that rice is lightly tempura-crisped for beautiful texture. The rice-nori burrito is then halved and garnished with black tobiko roe. Within is both crab salad and soft-shell crab, wrapped up with the crispness of lettuce, cabbage, cucumber and carrot. It's like Chipotle sushi gone crustacean, or state-fair food for Nisei—a carnival-style crab roll that requires neither soy nor wasabi. The Volcanic Eruption sushi burrito ($8) is more an easy-to-eat, nori-out, tuna-salmon hand roll spiked with jalapeño, and the Mt. Fuji ($8) has the same ingredients but without the spice. Both amount to much more conventional takes on fast-food sushi. And the chashu-forward ramen Teppanyaki Hut serves isn't quite at the level of serviceable Kayo's Ramen Bar just blocks away. But damn, that Black Widow. That's two cheap seats at the crab circus. 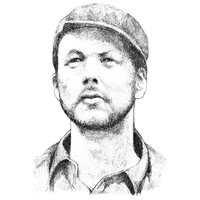 MATTHEW KORFHAGE. EAT: Teppanyaki Hut, 4233 N Mississippi Ave., 503-383-4705. 11:30 am-4 pm Monday, 11:30 am-7:30 pm Tuesday-Saturday, noon-6 pm Sunday.